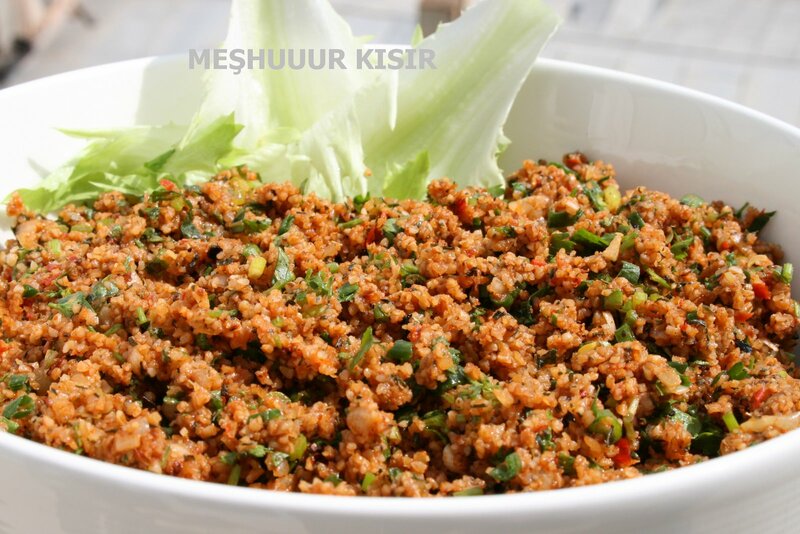 KISIR (bulgur), my most favorite recipe among Turkish Cuisine! Posted by fitgurme in Gourmet Side, Welcome ! I was thinking of from which recipe to stary my Turkish cuisine favorites. It had to be easily done anywhere in the world, it had to be fit and healthy and definately should be at the top of my list! 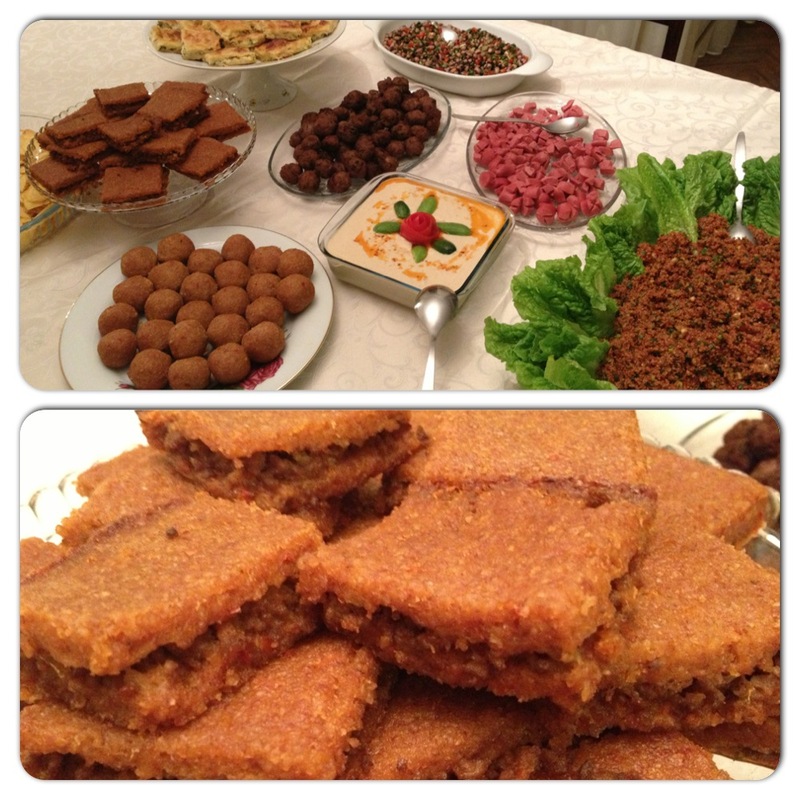 So the answer is easy, that is KISIR ! Now, there is one issue, it is difficult to pronounce KISIR as the “i” without the dot does not exist in English! But anyway, this is not a problem to enjoy this great food! According to NYT blog Well, it is also a great substitute for rice because it has more fiber and nutrients and is also a low glycemic index food. To me, it is delicious, it is healthy, it is something that’s never enough and that you can make tens of different recipes, all are nothing but great!! I am from Istanbul and I did not know these delicous different recipes until I got married to my husband and met his great family, from the Middle-East part of the country. There, bulgur is like the basics of nutirtion, on the table in different forms almost everyday! So I had the chance to taste many different recipes since then. Here is a great example of one of those tables from Aunt Fatoş, where you can find Sini Köftesi, Kisir, İçli Köfte all together, what a feast! 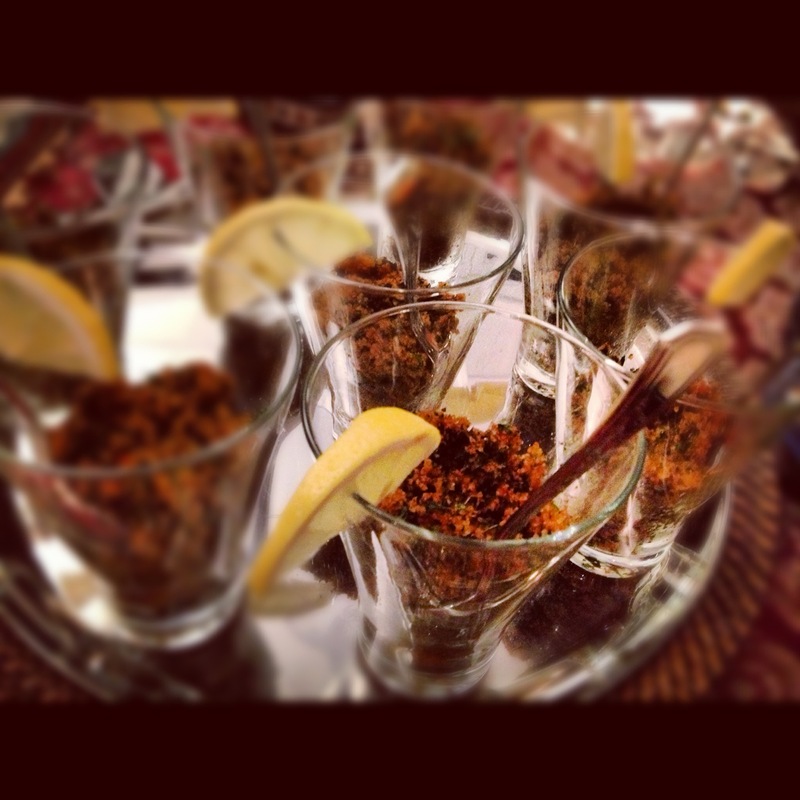 Finally, our family secret recipe of Kisir! 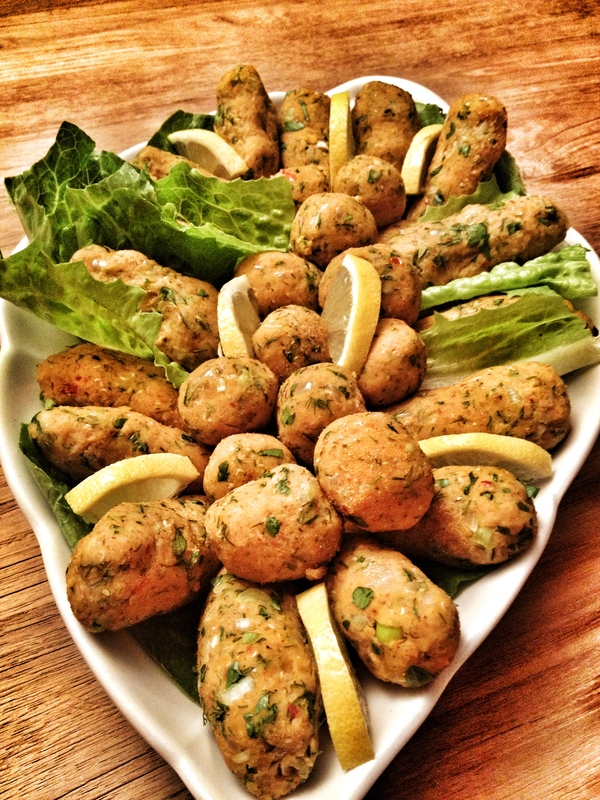 It is originally from my mother-in-low Gülseren Ayik and I assure you that it is one of the best you can eat. I hope you can find all the ingredients you need. Even in geneva, I can find most of it in the Middle-Eastern corners in supermarkets or some specific stores that sell them. Add the boiling water (some add boiled tomato juice instead of water to make it even more tasty! ), stir well and cover again to rest about 20 minutes. Bulgur should be somewhere between soft and al dente (if bulgur is not soft enough you can increase the amount of water but add very little). Meanwhile, chop all the greens very fine. At the end of 20 minutes, first add all spices (mint, cumin, red-and-black peppers) and mix thoroughly. Tomato paste and spices should be evenly dispersed everywhere. Add the finely chopped greens. Finally add olive oil-lemon-pomegranate molasses. Mix well and add a little more of the spices or sauce according to your taste. I love it with lots of cumin, very sour and medium spicy. 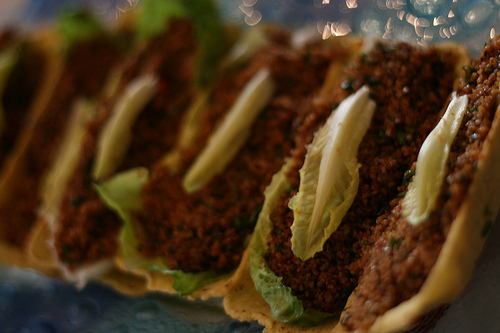 You can serve your kisir in different ways as below, in portion cups with a slice of lemon (and even some lettuce would be good) or inside nacho shells with some lettuce to decorate. Enjoy my most favorite dish ever!